A team of astronomers using NASA's Hubble Space Telescope is reporting the discovery of another moon orbiting the icy dwarf planet Pluto. The moon is estimated to be irregular in shape and 6 to 15 miles across. It is in a 58,000-mile-diameter circular orbit around Pluto that is assumed to be co-planar with the other satellites in the system. "The moons form a series of neatly nested orbits, a bit like Russian dolls," said team lead Mark Showalter of the SETI Institute in Mountain View, Calif. 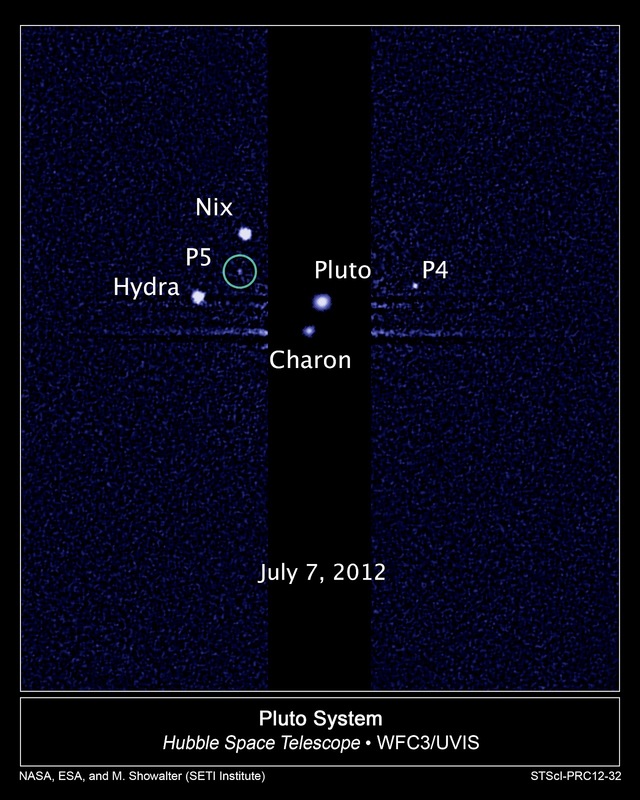 The discovery increases the number of known moons orbiting Pluto to five. 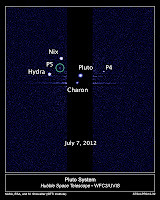 The Pluto team is intrigued that such a small planet can have such a complex collection of satellites. The new discovery provides additional clues for unraveling how the Pluto system formed and evolved. The favored theory is that all the moons are relics of a collision between Pluto and another large Kuiper belt object billions of years ago.